Turn AAC to WAV audio files online and without ads! 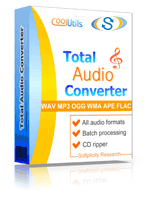 Run the AAC to WAV Online Converter or take the batch Tool for more! Description AAC utilizes lossy compression algo that is now considered as the best data zipping technology for high-quality audio data. This is the last standard of MPEG-2 family. There are 4 types of AAC: HomeboyAAC, Liquifier PRO AAC, AT&T AAC and Astrid/QhartexAAC. The last one surpasses MP4 and VQF formats in terms of size-quality ratio, especially on frequencies higher than 16 kHc. It supports up to 48 channels. Each AAC modification uses its own software for playback and coding sound.